DUBAI, UAE, July 17, 2018 /PRNewswire/ -- UAE based Holborn Assets has announced the double appointment of a CEO and Vice President to lead its Hong Kong operation. Mr Conlin will take over the role previously held by Edward Harris, assuming all responsibilities with immediate effect. Mr Harris remains with the company and will assume a new role, which will be announced in the coming weeks. The vastly experienced pair will be tasked with successfully leading and expanding the company's operation in Hong Kong and the wider region. 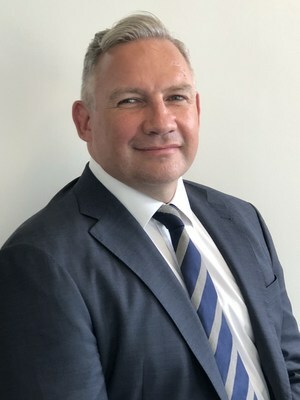 Riyad Adamou, Chief Commercial Officer at Holborn Assets, said: "We are delighted to announce appointments of Jason and Greg as we look to continue to expand our Hong Kong business." "The appointment of Jason was an easy choice for the board. He has been in region for over nine years, working closely alongside Ed Harris throughout his tenure, and is well respected by all in the industry. Greg is also a seasoned adviser in Hong Kong with an exemplary reputation and brings a raft of experience that will only add further value to an already well-established office." Mr Conlin said: "I'm looking forward to the role and excited by the potential with Holborn in the region. Ed has certainly given us a great platform on which to build and we all wish him every success in his new role." Mr Miller added: "It's an exciting time to be joining Holborn. They are a new player in the HK market and they are already attracting a lot of attention here for all the right reasons, I look forward to being part of the team and contributing towards the company's success." Holborn Assets Hong Kong was formed out of the acquisition of Globaleye Hong Kong in January 2018, establishing the companies second operation in Asia following the acquisition of Greenwood Consulting in Malaysia in Q3 of 2017. Robert Parker, Holborn Assets founder, said: "We are hugely excited by both appointments in Hong Kong. Holborn has once again demonstrated its capacity to attract the very best talent in the industry and with Jason's appointment we have shown the depth of experience available within our existing operations." "We have and always will be a company that looks to promote internally, providing opportunities for growth and development to all our employees. This is another exciting chapter for Holborn and for the Hong Kong office." Holborn Assets is a global financial services group and a leading financial advisory firm based in Dubai. Established in the Emirates for over 20 years, the business has expanded to operate throughout Europe, Asia, the Middle East and Africa. A family owned and operated business, Holborn Assets has over 450 employees worldwide, including 160 financial advisers. Committed to delivering the best possible service, each adviser is trained and qualified with many holding qualifications from the UK's Chartered Insurance Institute (CII), Chartered Institute of Securities and Investment (CISI) or London Institute of Banking and Finance. Holborn Assets' experienced team of professional advisers specialise in delivering clients quality, independent financial advice and services. Core areas of operation include: Independent Financial Services, Financial Solutions, Financial Planning, Wealth Management, Shariah Wealth, Currency Exchange, Employee Benefits, Management Services, Insurance, Investments, Protection & Insurance, Pensions, Mortgages, Offshore Services, Tax Planning, Will Writing, Pension Transfers, and QROPS. Holborn Assets is licensed by the UAE Ministry of Economy, the South African FSB, the Labuan Financial Services Authority in Malaysia and in the UK by the FCA. The business is registered on the UAE's Insurance Authority (IA) List within the Insurance Broker category.